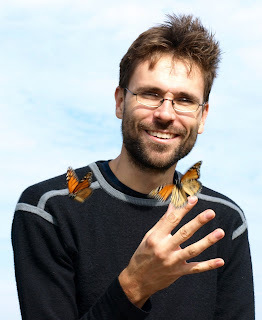 eScienceCommons: Do monarch butterflies use drugs? 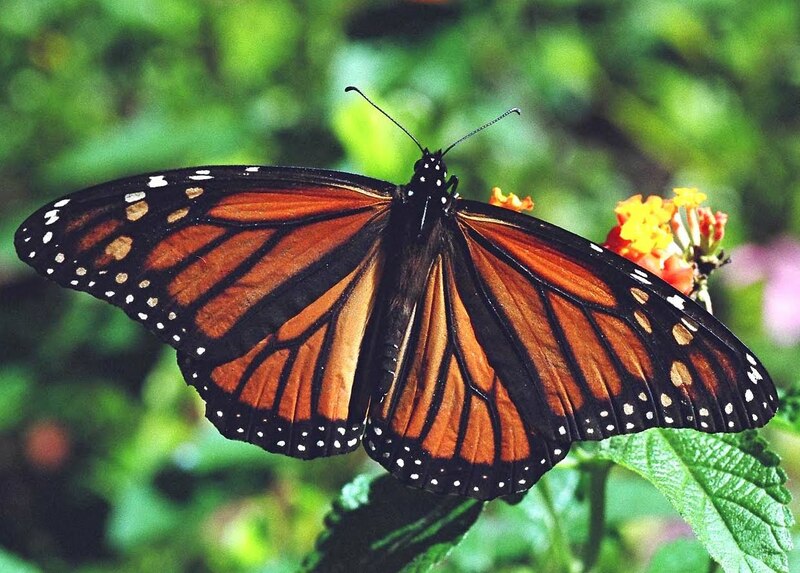 Do monarch butterflies use drugs? Photos by Jaap de Roode and Lisa Sharling. Emory biologists are studying whether monarch butterflies can cure themselves and their offspring of disease by using medicinal plants. The National Science Foundation recently awarded Jaap de Roode a $500,000 grant to further his research, which focuses on the behavior of monarchs infected with a protozoan parasite. Few studies have been done on self-medication by animals, but some scientists have theorized that the practice may be more widespread than we realize. “We believe that our experiments provide the best evidence to date that animals use medication,” de Roode says. Take a video tour of the monarch butterfly lab. Monarch butterflies are known for their spectacular migration from the United States to Mexico each year, and for the striking pattern of orange, black and white on their wings. That bright coloration is a warning sign to birds and other predators that the butterfly may be poisonous. 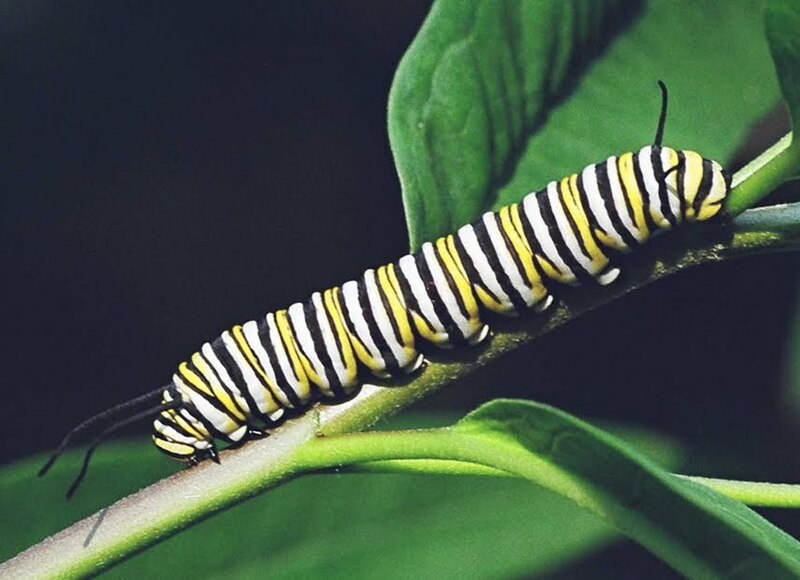 Monarch caterpillars feed on any of dozens of species of milkweed plants, including some species that contain high levels of cardenolides. These chemicals do not harm the caterpillars, but make them toxic to predators even after they emerge as adults from their chrysalises. Previous research has focused on whether the butterflies choose more toxic species of milkweed to ward off predators. De Roode wondered if the choice could be related to the parasite Ophryocystis elektroscirrha. The parasites invade the gut of the caterpillars and then persist when they become adult monarchs. An infected female passes on the parasites when she lays her eggs. If the adult butterfly leaves the pupal stage with a severe parasitic infection, it begins oozing fluids from its body and dies (see photo, at right). Even if the butterflies survive, they do not fly as well or live as long as uninfected ones. Experiments in de Roode’s lab have shown that a female infected with the parasites prefers to lay her eggs on a toxic species of milkweed, rather than a non-toxic species. Uninfected female monarchs, however, showed no preference. The Emory scientists will use the NSF grant to see if the lab results can be replicated in nature, across different populations of monarchs in various regions of the world. De Roode’s collaborator, chemical ecologist Mark Hunter of the University of Michigan, received $150,000 from the NSF to identify the chemicals that account for the medicinal properties of the milkweed plants. How do Obama-era children view race?